National Railways of Zimbabwe (NRZ) has allayed fears that it might have entered into a questionable deal with Transnet, following the issuing of suspension notices to three top officials who were allegedly involved in suspicious procurement of 1 064 diesel and electric locomotives in South Africa. Last week, Transnet's board issued its chief executive, Siyabonga Gama, chief procurement officer Thamsanqa Jiyane and supply chain manager Lindiwe Mdletshe with precautionary suspension notices. 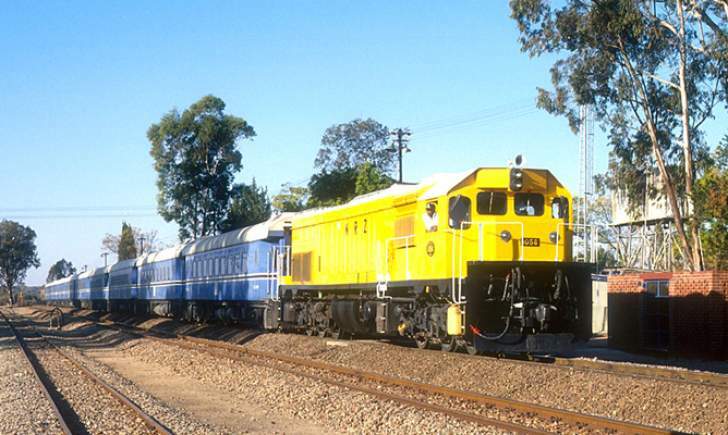 NRZ has signed a deal to bring wagons and locomotives with Transnet and the Diaspora Infrastructure Development Group (DIDG), a company run by expert Zimbabweans based mainly in South Africa. In February, President Emmerson Mnangagwa commissioned a consignment of 200 wagons, 13 locomotives and seven passenger coaches for the NRZ under the $400 million deal. NRZ public relations manager Nyasha Maravanyika chose to distance the rail transport company from the chaos that has rocked Transnet. "To us the suspensions of the three officials has nothing to do with the deal we are involved in. We can't speculate about the equipment we got because it is above board," Maravanyika told Daily News. "We believe whatever we got was approved by the right authorities and is above board. This is corporate engagement and I don't think it has anything to do with the Transnet/DIDG deal," he said. In a statement, issued by Popo Molefe, chairperson of the Transnet board on behalf of Transnet board of directors, Transnet said that reports from Werksmans Attorneys, Mncedisi Ndlovu and Sedumedi Attorneys and Fundudzi Forensic Investigators, revealed various acts of possible misconduct against the three employees. The statement noted that the three have been implicated in the alleged contravention of the Constitution; the Public Finance Management Act; the Preferential Procurement Policy Framework Act and its regulations; Transnet's internal procurement policies in the issuance of requests for proposals; the Companies Act and Fiduciary Duties; and improper changing of evaluation criteria and failure to comply with government policy on local content requirements. "The Transnet Board contemplates placing the employees, on precautionary suspension until the finalisation of the further investigations and disciplinary enquiries, misconduct identified includes amongst others contraventions," Molofo said. Transnet is owned by the government of the Republic of South Africa. The company provides integrated, seamless transport solutions for its customers in the bulk and manufacturing sectors.